Is it a tablet? Is it a laptop? It's both! The Transformer Pad TF103C is versatile: The tablet turns into a small laptop when the keyboard dock is inserted. Buyers can choose among a dock-less keyboard and one with a dock. The prices range from 229 Euros (~$312) without a dock and 279 Euros (~$380) with a dock. The dock is to unite the advantages of both worlds. That was quite successful until now. 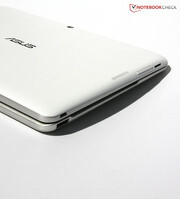 We quite liked most tablets from Asus' Transformer Pad line. The scope was wide, ranging from the affordable TF300T up to the elegant, slim and expensive TF701T. The new Transformer Pad TF103C is one of the less pricey members of the line. 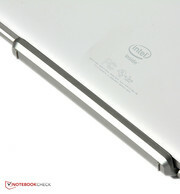 It is to convince with an Intel Atom processor and fantastic sound system. Both convertibles and tablets come into question as contenders. 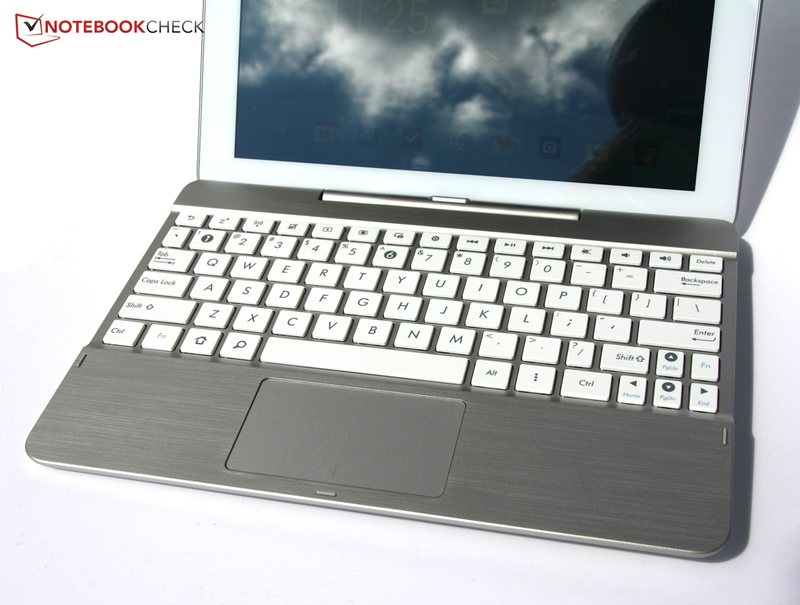 We rated the Transformer Pad as a tablet because the keyboard dock is optional. HP's SlateBook x2, the Yoga Tablet 10 HD+ from Lenovo or Lenovo's Miix2 are examples of equally priced convertibles with a 10.1-inch screen. The Galaxy Tab 4 10.1 is also within this price range. Acer's Iconia W510 or Dell's XPS 11 are considerably more expensive. Black or white are the colors for the Transformer Pad's casing. Matching that, the keyboard dock is either silver or charcoal black plastic. The keyboard's keys also correspond to the selected casing color. 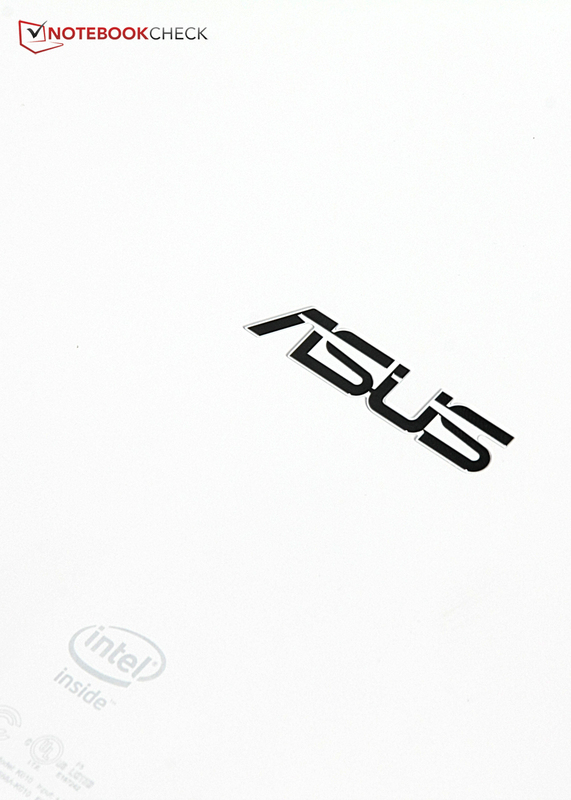 We have a white review sample, and only the glossy Asus logos as well as the surrounding chrome-colored strip feature a different color. The casing's stiffness is decent; strong pressure on the tablet's back, however, becomes visible on the screen. The keyboard can be warped a bit but provides enough stability when typing on it. 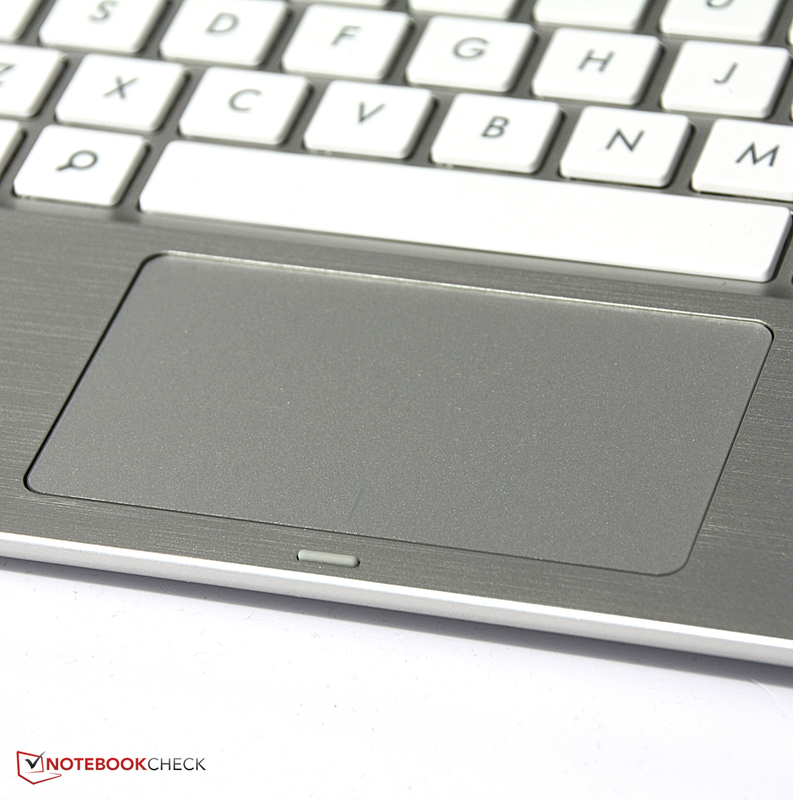 The keyboard dock mechanism where the tablet is inserted works smoothly and is intuitive. 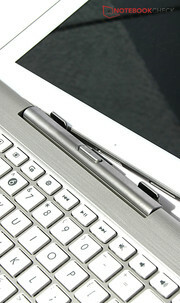 The hinge that takes up about half the width also keeps the tablet firmly in position without being stiff. The design is basic and restrained but very appealing with its rounded corners and brushed metal look. When comparing the Transformer TF103C with its precursors, such as the TF300T, its reduced weight is noticed favorably. The tablet is not the lightest of its kind, now weighing 550 grams, but it is 100 grams lighter. However, its dimensions have not changed much. It is a bit surprising that the keyboard dock does not include a secondary battery but weighs just as much as the precursor with battery. It would have been expected that omitting this feature would lead to a reduction in weight. As usual for tablets, there are not many interfaces on the casing. The micro-USB 2.0 port and the 2-in-1 audio jack have to suffice. 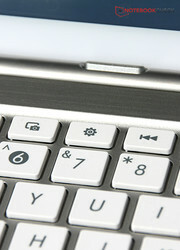 Users who connect the keyboard dock are treated to a full-sized USB 2.0 port. The USB ports are a bit awkward to use because the connectors tend to catch an edge. This is more severe with the tablet's port than with the "big" USB port on the dock. A micro-SD slot in the tablet is available for storage expansion. Overall, the diversity of interfaces is adequate, but the Transformer Pad TF300T also featured an HDMI port on the tablet. At least MHL support for the micro-USB port would have been nice this time, but that is not available either. Android's looks have only been modified slightly. 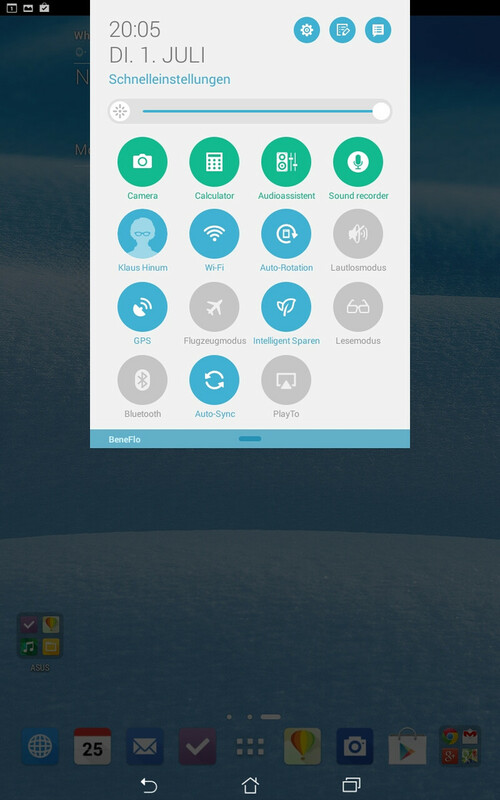 Based on Android 4.4, the "Zen UI" interface is installed in the Transformer Pad TF103C-1B072A. It provides many additional apps such as an appointment reminder or enables accessing data in the cloud. "Do it later" lets the user put back unimportant things but reminds the user that it is still on the to-do-list. The looks have not been modified much. The quick-access menu looks a bit different, just like the lock screen. Besides that, there are color schemes for personalizing the tablet. Most of the preloaded software is useful and well designed. Asus does not install very evident bloatware, except for the Amazon Kindle app that can at least be used as a PDF reader. Wireless LAN standard 802.11 a/b/g/n is supported, alongside Bluetooth 4.0 and Miracast that enables streaming on external devices. The Wi-Fi reception was decent. Three-quarters of the signal was still displayed when the router was only ten meters away and had to transmit through three walls. Setting up pages was also still quite swift. However, the reception dropped and setting up pages was considerably slower when an additional two meters and another wall were placed between the device and the router. 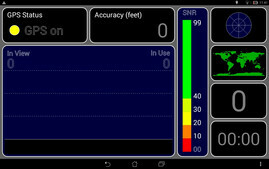 The American GPS and Russian GLONASS system are available for localization. 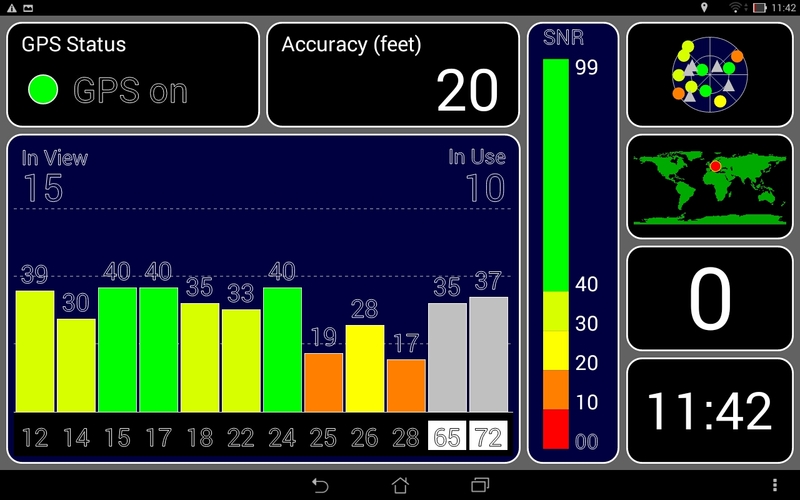 The GPS sensor did not have a chance of finding a proper signal for tracking indoors. 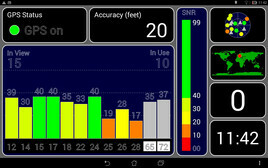 A certain distance to buildings is needed outdoors, but then the tablet is located quite soon with an accuracy of 4 - 7 meters. All the faster and with a good result outdoors. 2 megapixels on the back, and 0.3 on the front. Is that all there is to say about the cameras? No, of course not. However, the lenses are not really useful either. 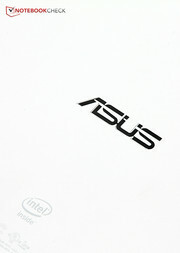 There is not much to see from the "fantastic" pictures that Asus promises on its website. 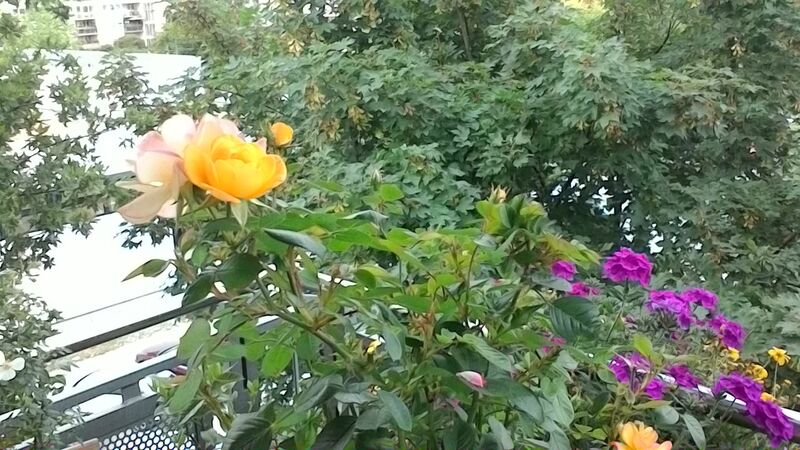 The rear-facing camera shoots pictures that look as though they are covered with a watercolor filter. The edges are blurry, single pixels are visible, and there are barely any details. Zooming in on objects is also not advisable. The 0.3 megapixel front-facing camera is even sketchy for video calls because it only takes fuzzy pictures. 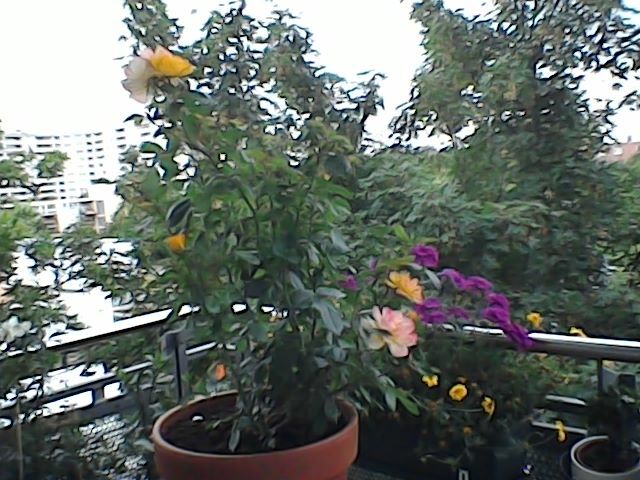 At least Asus' own foto app is nicely designed and intuitive to use. But that is not much fun with these camera lenses. 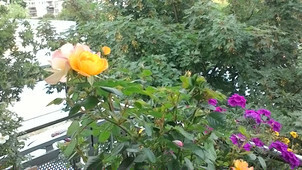 ...and the front-facing cameras are not really of much use. Asus does not include many accessories in view of the low price point. Only a micro-USB cord and a power supply are in the box. The manufacturer includes a 24-month warranty on the tablet. However, this period does not apply to the accessories or the keyboard dock. Customers in some countries still have the option to claim the retailer warranty that is also valid for 24 months. The warranty only applies in the country where the product was purchased. 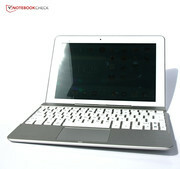 The keyboard dock allows turning the tablet into a small laptop, which is the basic idea behind convertibles. 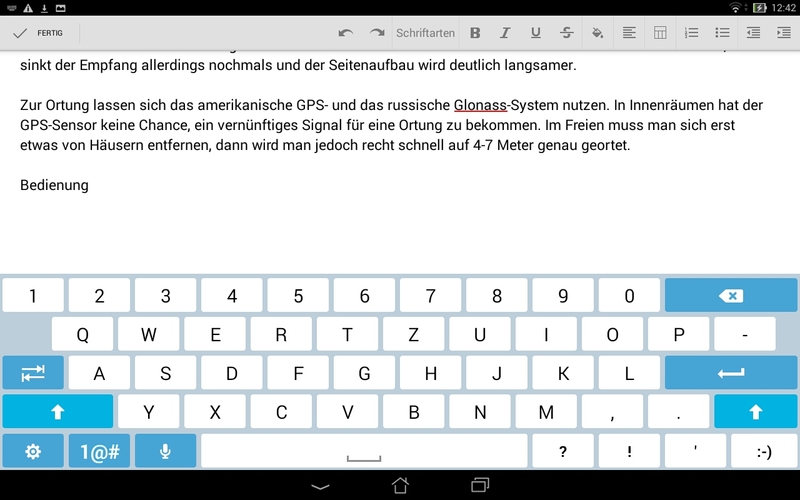 It includes a full-fledged keyboard; our review sample featured the American layout, but devices purchased in Germany of course have the German layout. There is an extra row of function keys that enable, for example, volume or screen brightness. It is easy to access options or make a screenshot. Naturally, the user will find the typical Android symbols, such as back, home, search or menu, instead of Windows symbols or partly eaten apples. Typing on the keyboard worked quite well, but the keys are too tightly spaced and some keys, like the return key, are too small for larger hands. 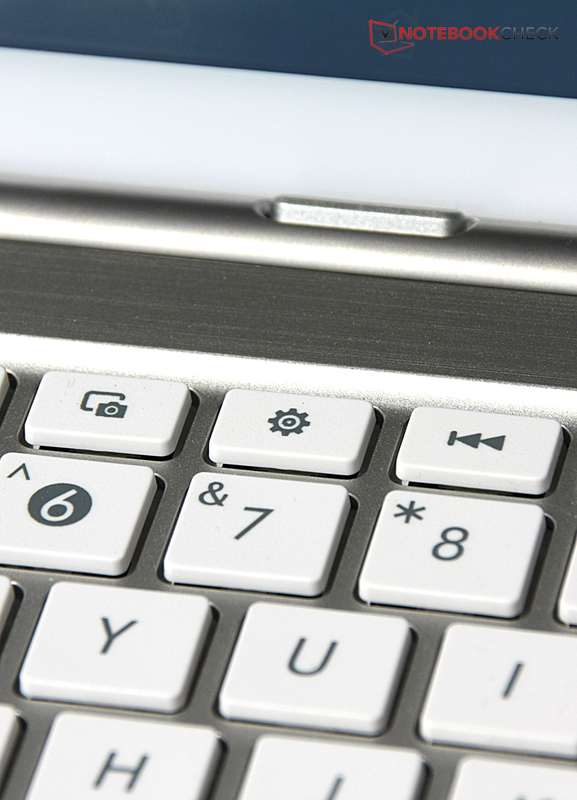 A connected, full-sized keyboard will be preferred for typing longer texts, especially since the drop is rather low and the keys only provide a mediocre feedback no matter if they are pressed or not. The capacitive touchscreen is quite sleek and accurate up to its corners. Using it for scrolling through documents and websites is faster than, for example, with the arrow keys or mouse wheel. It is quite clear that Android has been made for touch operation. Although a mouse or the incorporated touchpad function can be used, some things are simply easier with a touchscreen in Windows 7, for example, highlighting and copying text or opening a context menu. The volume and standby keys on the tablet protrude far enough to operate them precisely. 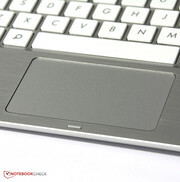 Talking about the touchpad: it is slightly shifted to the left below the keyboard, and it is a ClickPad with incorporated keys. This sometimes results in an inaccurate use because the keys' surface are also touch sensitive and the mouse cursor does not know whether it should follow the finger that is navigating or the one that is clicking. The keys are fairly reliable in use but produce a rather loud click noise. A 16:10 screen almost seems peculiar considering that the prevailing standard for screens is 16:9 nowadays. However, it still makes a lot of sense to stretch the screen's surface area upward in tablets. The 10.1-inch screen displays 1280x800 pixels, which is acceptable. 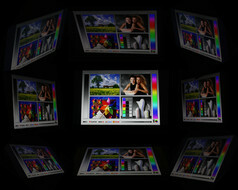 The Full HD resolution of 1920x1080 pixels is, however, becoming more common even in low-cost devices. 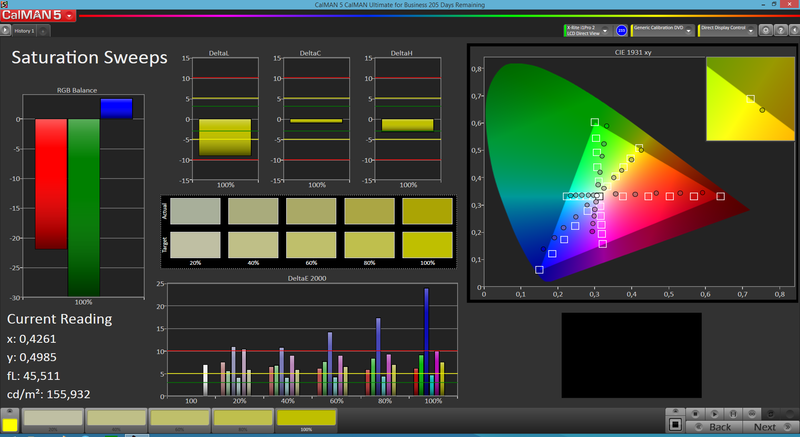 However, Asus installs a display that provides a very sharp and high-contrast image, at least subjectively. The latest TF103C shines considerably brighter than the Transformer Pad TF300T. 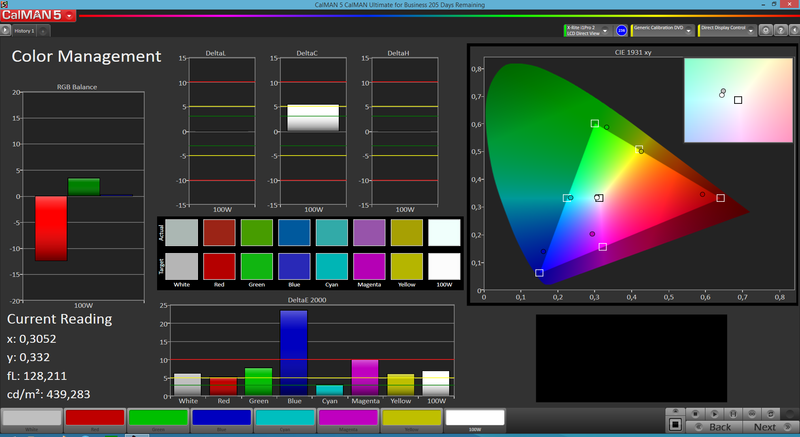 The touchscreen shines with an average of 412.6 cd/m². 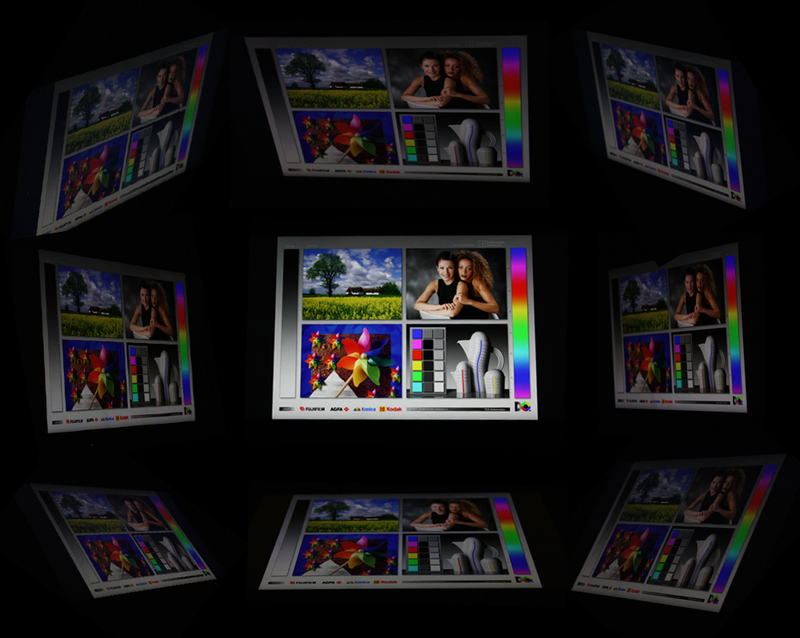 The illumination of 89% is relatively homogeneous, but a slightly irregular brightness distribution is visible on large white surfaces. However, that is not distracting. The Transformer Pad TF103C's contrast is quite good. 1073:1 is very impressive. The decent black level of just 0.41 cd/m² also contributes to that. 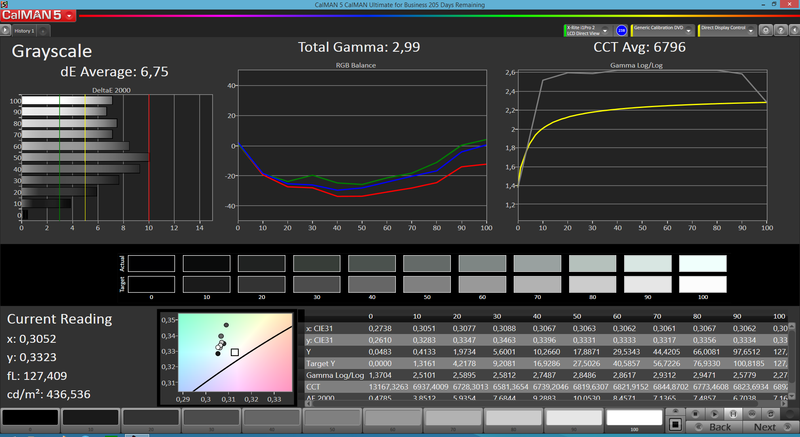 It quickly becomes evident that the blue hues strongly deviate from the ideal value when analyzing the colors on the screen with the CalMAN software and the colorimeter. Light gray hues also exhibit a bluish cast. 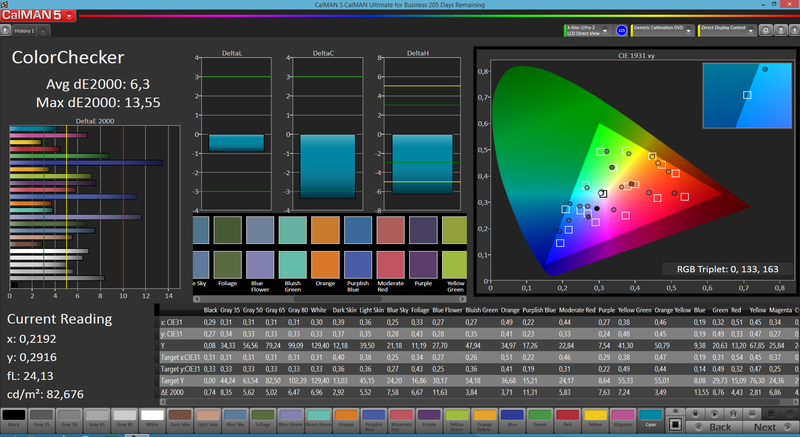 Green and red hues are very under-saturated, and blue hues are slightly overemphasized. It is very strenuous for the eyes to recognize something on the glossy screen in bright sunlight despite the high luminosity. 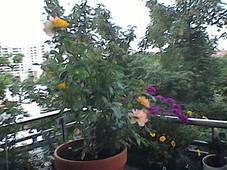 It is quite possible to use the tablet outdoors in the shade or cloudy conditions. Owing to the screen's underlying IPS technology, it is easy to recognize something even from very flat angles from the sides and from below or above. However, a minor brightness decrease that is not relevant for the content's legibility is noticed. Our review sample sports an Intel Atom Z3745 from the Bay Trail generation. It clocks with 1.33 GHz, which is not the SoC's maximum speed. As much as 1.86 GHz would be possible. 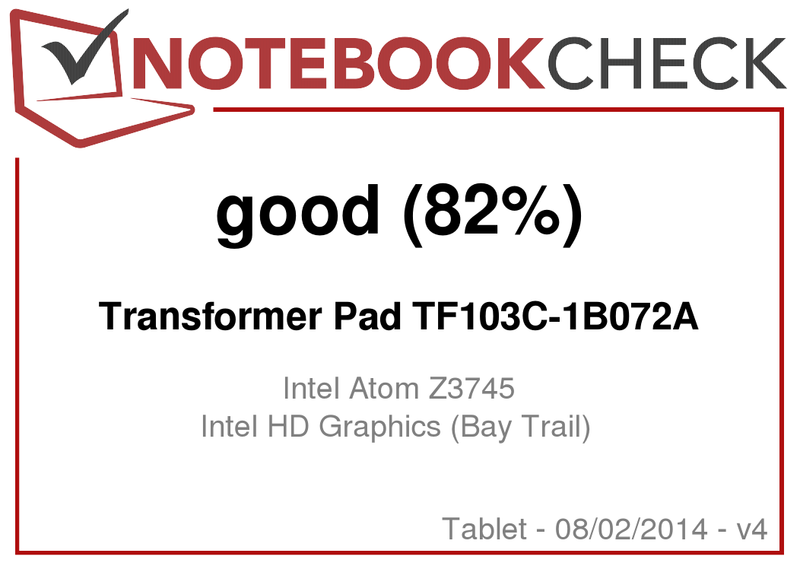 The performance advantage compared with Nvidia's Tegra 3 in the Transformer Pad TF300T is nevertheless impressive. The difference between the two processors is over 80% in the synthetic benchmarks. HP's SlateBook x2 with Nvidia's Tegra 4 and a considerably higher clock of 1.8 GHz is also only marginally faster. Consequently, the Transformer Pad TF103C-1B072A offers a good performance-for-money ratio. Operation is mostly smooth in routine use. Short lags when returning to the home screen or opening an intricate app are rare. Nevertheless, the 1024 MB working memory finds its limits quite soon. Only a bit more than 300 MB is available even when no apps are running. Thus, patience is needed when even only switching between browser tabs because the sites have to be reloaded every time. That is annoying when, for example, filling out a form and information from another tab is needed. 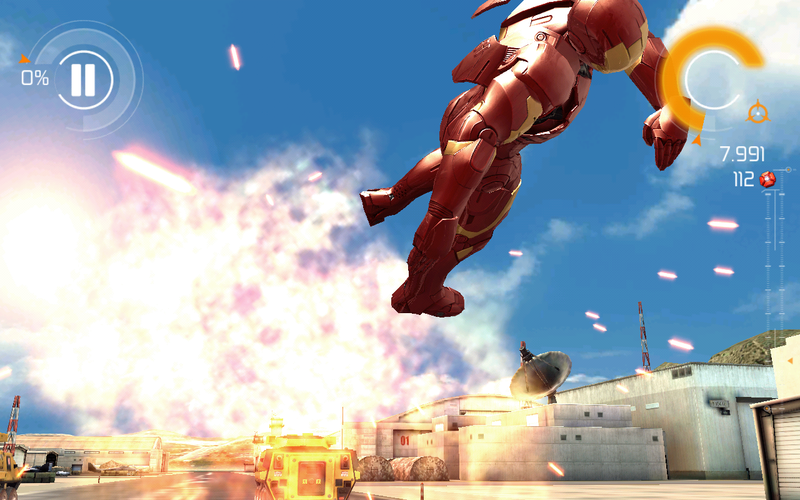 The information is usually gone after reloading, and the user has start anew. Intel's HD Graphics (Bay Trail) is a graphics card that is on par with other ARM graphics solutions in the premium sector. 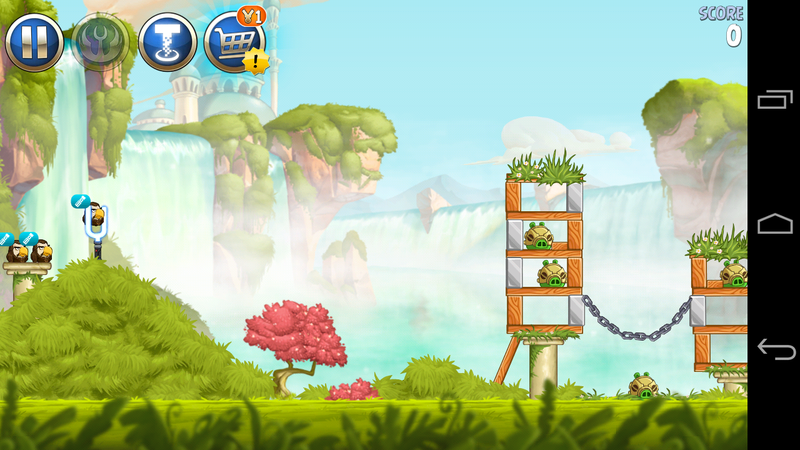 Hardly a game from the Play Store cannot be rendered smoothly with it. The graphics card even processed the relatively intricate T-Rex test in the GFX Bench 2.7 with a good average of 23.7 frames using the screen's native resolution. At first glance, the scores of the synthetic browser tests look alright. High scores promise lag-free Internet browsing and swift page setups. We can confirm that up to here. However, some more complex benchmarks did not run at all on the tablet, and the browsers frequently crashed (stock browser, Firefox, Chrome). We already mentioned the constant reloading of multiple opened tabs. Thus patience is needed when browsing, and the lags when entering URLs where the first letter is sometimes simply not accepted are annoying. All in all, browsing is swift, but not quite flawless with the Transformer Pad TF103C. The 16 GB storage in our model operates quite fast and at most exhibited minor weaknesses in random write. The storage has a sequential read speed of 91.12 MB per second, which is a good rate. For comparison: Lenovo's Yoga Tablet 10 HD+ achieves similar speeds and Samsung's Galaxy Tab 4 10.1 is a bit faster. 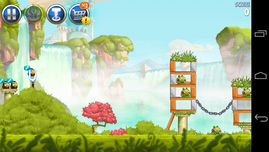 The convertible did not have problems with 2D games such as Angry Birds: Star Wars 2 or with masses of troops in Lego Star Wars: The Yoda Chronicles. 3D games like Iron Man 3 or Real Racing 3 were also rendered smoothly. Though the tablet is comparatively strong it produces little waste heat. The casing's temperatures also stay quite low. We measured a maximum of 35.4 °C on the tablet's back. Although the tablet's temperature increases even when idling, it is only a few degrees over room temperature and thus barely noticeable. 31.8 °C is the maximum in idle mode. Since the tablet can be used without the keyboard dock, all important components are behind the screen. Consequently, there is no temperature increase in the keyboard area. The speakers are located on the middle left and right of the tablet's back. 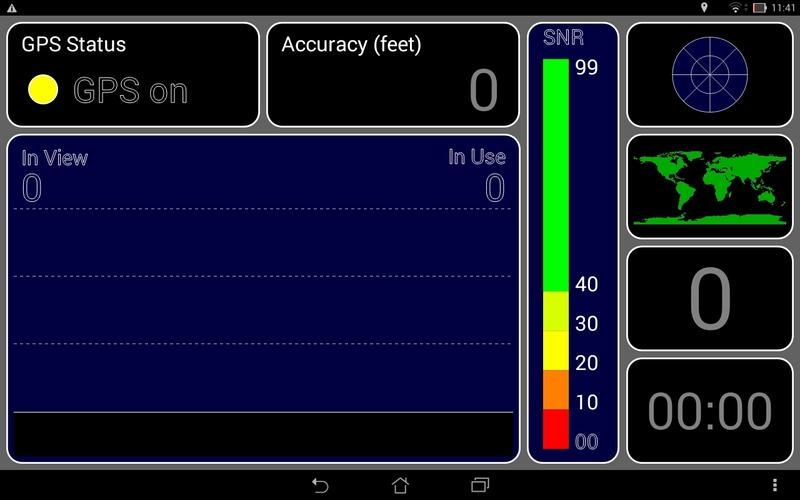 Although they tend to be covered when holding the tablet in landscape mode, it does not affect the sound quality. Asus dubbed the technology that is to enable a richer stereo sound "SonicMaster", and in fact both speakers sound surprisingly good for a tablet. The sound even has a hint of low ranges, and it is rich and well balanced. Even the maximum volume is impressive. It is possible to use the combined audio in and out for connecting a headphone or microphone. It delivers a good sound quality to external output devices. Compared with the slightly outdated Asus Transformer Pad TF300T with a Tegra 3 SoC, our review sample consumes considerably less power. The maximum idle power consumption has decreased from 4.6 to 3.9 watts. The difference is even more striking in full load: The TF300T consumed 10.7 watts, while the TF103C now only needs 6.7 watts. The TF103C consumes agreeably little power in total and is still quite powerful at the same time. As mentioned, there is no longer a battery in the keyboard dock that would keep the tablet running on longer train trips or flights. The battery in the tablet is now also weaker. The Transformer Pad TF300T still had 22 watt hours, but the current review sample now only has 19 watt hours. The lower power consumption partly compensates for the battery's lower capacity. We could browse for almost 8 hours in the practical Wi-Fi test before the convertible had to be recharged. That is a good 1:45 hours longer than with the Transformer Pad TF300T without its secondary battery. Watching movies is possible for roughly the same time. Most contenders cannot compete with that. However, almost all have a battery in the keyboard dock that lengthens the runtime considerably. Almost all manufacturers have to make cuts this year. Their models are to become increasingly more affordable, and thus one or another feature that the former generation boasted can be omitted. Customers have to carefully examine whether they would not get more for the same money in the older model. 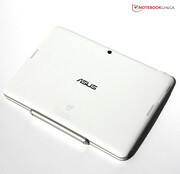 There is no direct precursor of Asus' Transformer Pad TF103C-1B072A in retail. It would not really be worthwhile due to the partly outdated processors. However, comparing it with the competition is worthwhile. Many convertibles of this price range sport a battery in the keyboard dock that extends the runtime - the TF103C does not. The HDMI port has also simply been economized this time. The occasional lags when typing are also annoying, and they make working frustrating. However, Asus' Transformer Pad TF103C-1B072A offers decent performance for its price of approximately 300 Euros (~$408) - providing a generous working memory is not crucial because the device cannot offer that. Apart from its bluish cast, the screen is compelling, and the casing's low surface temperature is a bonus point just like the good speakers. A well-built casing, the decent software, the practical keyboard in the dock, and the good battery runtimes even without a secondary battery make the device recommendable after all. Nevertheless, we deduct one percent point in the total rating for the lags in operation and the incompatibility with many benchmarks. Windows still has the lead in mouse and keyboard operation. Users who depend on this should look at Acer's Iconia W510 or Microsoft's Surface 2 that comes with a full-fledged keyboard dock. In review: Asus Transformer Pad TF103C-1B072A. 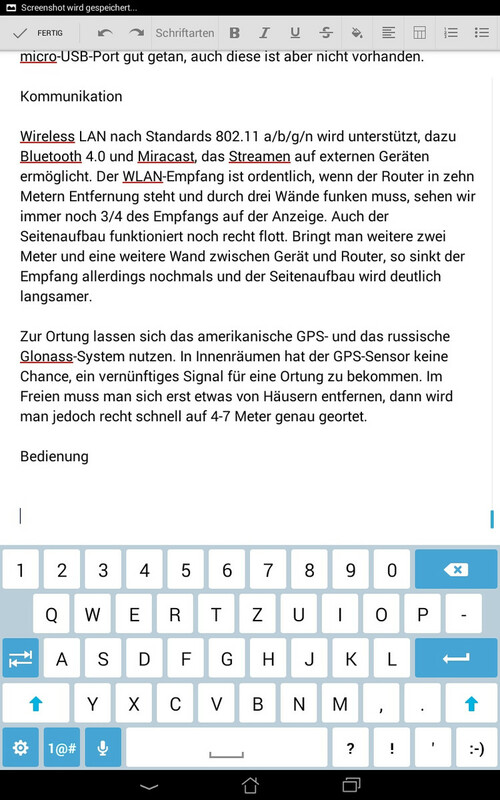 Review sample courtesy of Asus Germany. 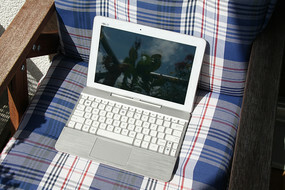 The Transformer Pad TF103C is to be affordable, optionally without a keyboard dock. Asus did its best to beat down the price, but a few features had to be omitted. The camera does not shoot very good pictures. There is no HDMI or MHL. However, a good job has been done with the hinge. Besides that, the keyboard dock does not have a secondary battery, which is a bonus in many contenders. The speakers provide a great sound for a tablet. The tablet's weight is a bit lower than its equally priced contenders. The keyboard features many special keys. Inserting the tablet into the dock? No problem: It is quick and intuitive in the Transformer Pad TF103C. Deductions are made for the missing secondary battery, crashes, and software lags. That the tablet can be easily and intuitively inserted into the dock. Just what happened to the secondary battery in the keyboard dock? 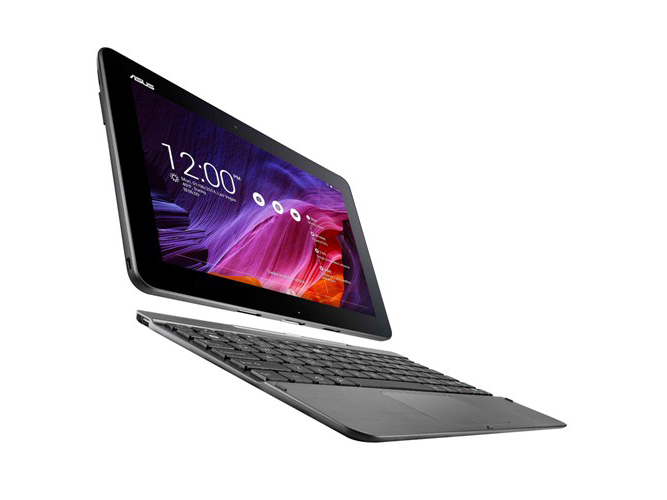 How Asus' Transformer Pad TF103C cuts some features without losing much weight. HP SlateBook x2, Lenovo Miix 2, Acer Iconia W510, Dell XPS 11, Microsoft Surface 2.